ProCare Premium Foil Refills for Highlighting and Colouring. 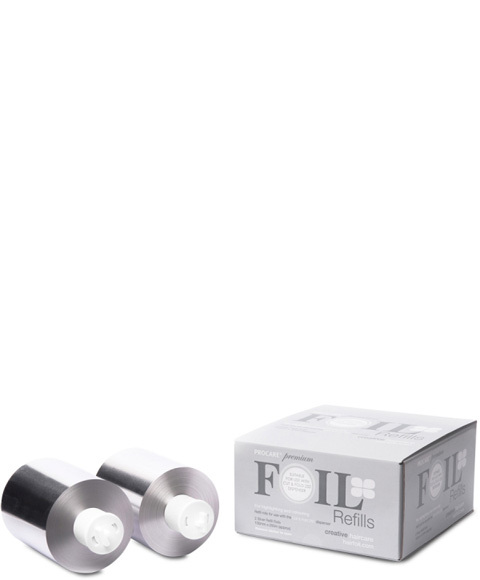 Refill rolls for use with the cut and fold 250 dispenser. These refill foils are designed for use with the Cut & Fold 250. This new dispenser is big brother to our Cut & Fold 100 but works with longer foil rolls making it more suited to salon use. The Cut & Fold is a really simple and effective tool to help speed up your foil prep, simple pull and press the cutting lid for a perfectly trimmed foil with a handy fold ready for your comb. Ideally suited for salon use with The Cut & Fold 250.